Chinese poet Bei Dao (pen-name of Zhao Zhenkai (趙振开) emerged as one of the most influential "Misty" or Obscure Poets (朦胧诗人) in the late 1970s. He co-founded the literary magazine Today (今天) which was central to the menglong movement, and was published on the mainland from 1978 until it was banned in 1980. The magazine moved to Sweden in 1990 and has since become a forum for exiled writers. Bei Dao was involved in pro-democracy movements in 1976 and 1987, and was forced into exile in 1989 when he was prohibited from returning to China following a conference trip to Berlin. He has lived and worked in England, Germany, Norway, Sweden, Denmark, Holland, France, and the United States. Briefly allowed back to mainland China in 2006, he is currently Professor of Humanities at the Chinese University of Hong Kong. Emblematic of Bei Dao’s defiant poetic stance is his most famous poem Answer (回答), written during the 1976 Tiananmen protests. His work has been translated into twenty-five languages, and he has received the Tucholsky Prize from Swedish PEN and been nominated several times for the Nobel Prize in Literature. 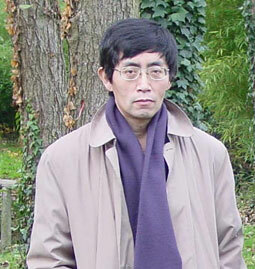 Bei Dao is also an honorary member of the American Academy of Arts and Letters. Baidu author page (in Chinese) contains some of his most famous poems, as well as more information about his books. Blue House (Zephyr, 2000) translated by Ted Huters and Feng-ying Ming, is Bei Dao’s first collection of essays to be translated into English. Waves (New Directions, 1990) translated by Bonnie McDougall and Susette Ternent Cooke, is a collection of short stories written during the last years of the Cultural Revolution.